Hwi Kyung suspected Min Joon as the person who rescued Song Yi twelve years ago and demanded to know about his identity. Min Joon hides his alarm very well, with an stoic face. He claimed there are people who resemble each other in this world. 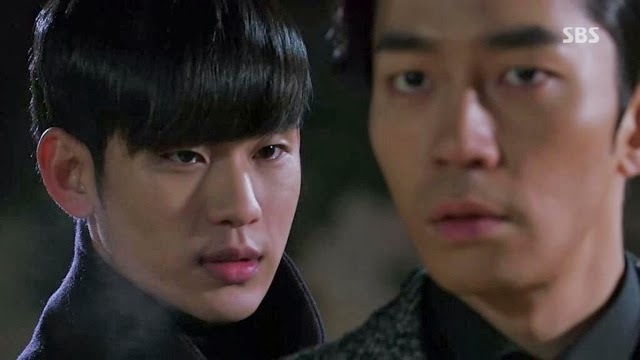 Despite that, Hwi Kyung warned Min Joon to stay away from Song Yi. At home, Song Yi asked Min Joon for an explanation about the glass shard and wanted to confim her suspicion about the Clift incident. 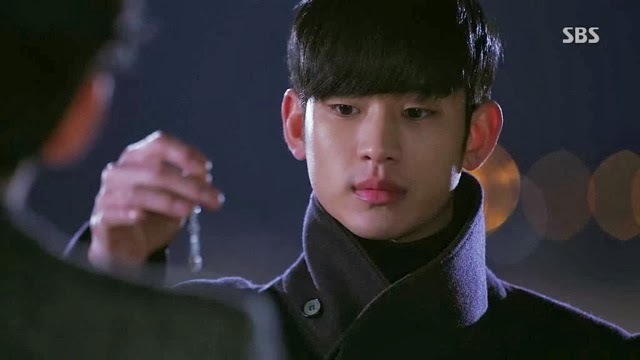 However, Min Joon strongly denied the connection and insisted that Song Yi was being delusional since glass shard could come from many places. Song Yi felt something was off but she could not put her finger to it. Min Joon snapped at Song Yi and accused her of ruining his peaceful life. In a fit of anger, Song Yi left the house and instead of going to Hwi Kyung villa, she went to Bok Ja tiny room. Song Yi asked Bok Ja if she ever have a crush on someone before? Bok Ja related about this incident when she passed by Min Joon who was riding on a bike. That was love at first sight and she offers him a folded crane to show her affection. However, Min Joon rejected the folded crane as he thought that she is selling it. When Bok Ja asked Song Yi about her crush, she flatly denied it although her action stated otherwise. Worried about Song Yi, Kwi Kyung asked her family to stay in her house and even changed her house password. While Song Yi reassured them that she is fine. 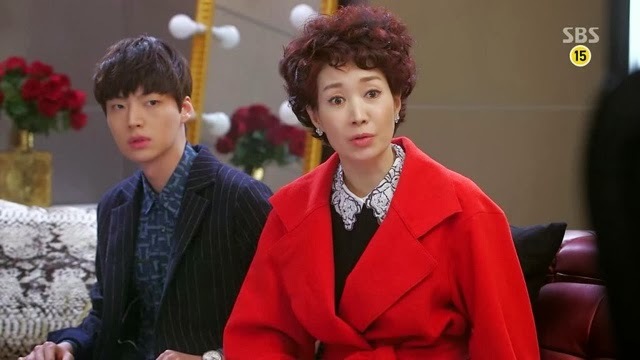 Yoon Jae insisted to stay with his sister, to be her protector, although he appears to be reluctant. Jae Kyung secretary stated that it is impossible for someone to go down 23 floors and reach there just in time for the lift to be open. Which practically means that Jae Kyung had witnessed the impossible. 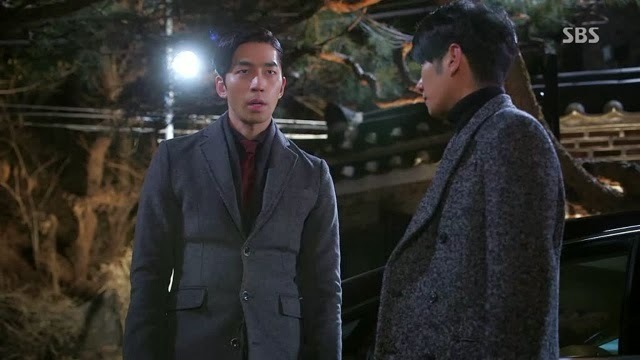 Lawyer Jang and Min Joon had a discussion about his supernatural power. Min Joon is aware that it is risky for him to reveal his supernatural power. 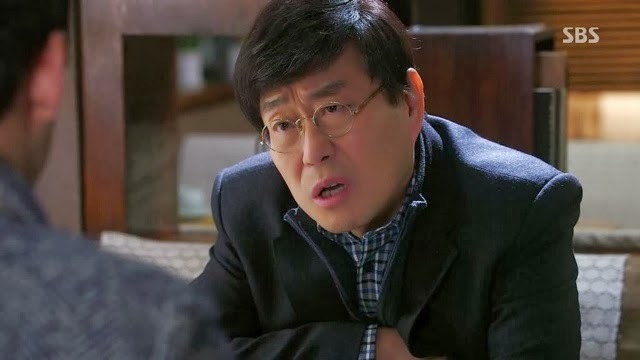 Lawyer Jang advise him not to do that anymore, instead he should tell Song Yi to be wary of Jae Kyung. 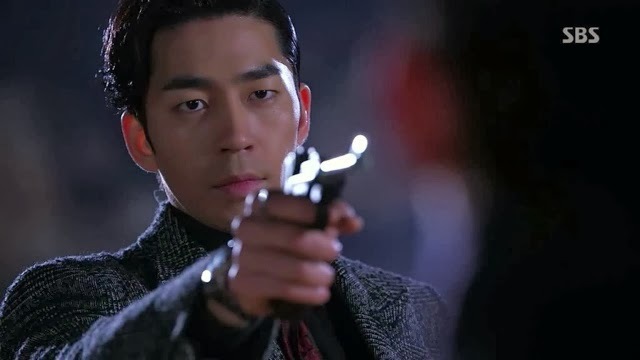 Stating that while Min Joon will not die naturally, he may still be killed. The investigator look for Yura sister for leads regarding Yura boyfriend. Initially, she was reluctant to talk about that and she only gave in when she heard that Yura was pregnant and that she may be murdered. Yes, Yura had a boyfriend. Jae Kyung told his secretary to "solve the problem of Min Joon." Which literally mean kill Min Joon. Their conversation exchange was overheard by Min Joon who had been tracking them. Kwi Kyung arrived at home and he was stop by Jae Kyung who asked him about Min Joon. 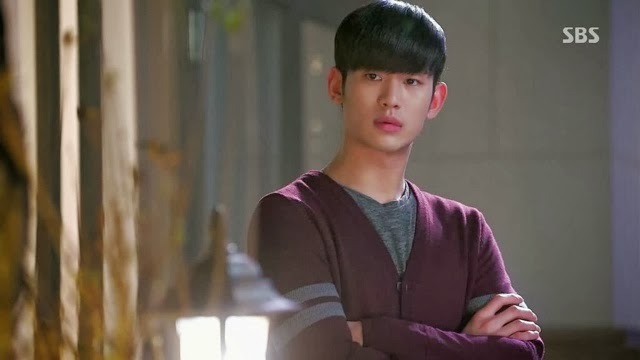 He looked at his brother with suspicion and briefly stated that Min Joon is just Song Yi neighbor. He asked Jae Kyung why is he so interested in Song Yi suddenly? Jae Kyung stated that is because of brotherly concern but Kwi Kyung was not convinced. Min Joon discovered a secret footage between Yura and Jae Kyung in a car. We had seen the earlier footage about a mysterious woman. The next video about Yura and Jae Kyung gave a confirmation that the earlier woman shown in the video was Jae Kyung ex wife, who was sent to an asylum against her will. Song Yi text Min Joon and he did not reply her . She tried not to be bothered by that but she literally jump to her phone when it rings. It is not Min Joon - It is the building informing Song Yi about the payment of housing rent. Song Yi went to the bank and was told that she has insufficient fund in her account after paying for the breach of contracts CF to her agency. To top it off, her spendthrift mother had incurred a greater debt with her spending. Song Yi asked for a loan and was flatly rejected due to the bad debts. Desperate time, calls for desperate measures. Song Yi decided to sell her 'babies' which are her desiger acessories and bags. Her effort to sell them to a shop was met with rejection due to her damaged reputation, Song Yi goods will not sell well. Therefore, Song Yi thought of auction it on the internet with her photo uploaded. However, she could not give the public her cellphone number. An idea came to her mind and she placed Min Joon cellphone numbers as contact. Min Joon was giving a lecture in class when the text messages from interested buyers keeps pouring in. Despite having problems with the rental, Song Yi was told to pay for another additional bills regarding the breach of contracts. She did not even know about these projects and she decided to fight it herself. Song Yi confidence have been shaken and she need Min Joon by her side to confront CEO Ahn. She does not bother about the loss of money as it can be earned back but she does not want to show her vulnerable side. She need him before she crumble. Therefore, Song Yi wore the boldest black suit and walked into the office with Min Joon by her side. CEO tried to bill her on the contract which she did not agreed or have any knowledge of. 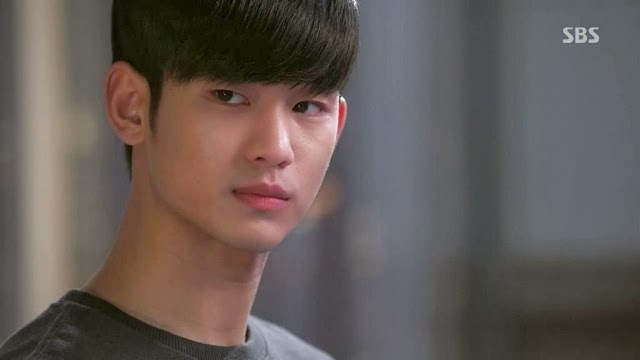 Min Joon looked through the contract and spotted some loopholes and listed some legalistic term which caught CEO Ahn and his lawyer by surprise. CEO Ahn was advise by the lawyer not to pursue this case. On their way out, they met Se Min with her stylist and manager. Se Min asked them for coffee and Min Joon agreed on Song Yi behalf. The next scene was awkward as Min Joon sat in the middle. Song Yi was annoyed that Se Min and Min Joon are on good terms. Se Mi apologize about their last encounter but Song Yi already saw through her hypocrisy. The stylist accidentally spilled the coffee on the table. The two fussed over Se Mi while they ignored Song Yi. Se Mi showed concerned to Min Joon while Song Yi looked on with jealous eyes. At the car, Song Yi make jealous digs about Se Min and Min Joon. Min Joon gave her some wise advice, stating that nobody cares that she has fallen from grace and that she need to pick herself. Song Yi said that as long as Min Joon is with her, she will be fine. Min Joon told her not to trust him as he will not be with her for long. Song Yi wonders is it because she is broke, therefore he doesn't want to stay with her. She promised to pay him but Min Joon did not reply. After they reached their respective department, Song Yi keeps finding excuses to linger around Min Joon . However, Min Joon gave an indifferent attitude. 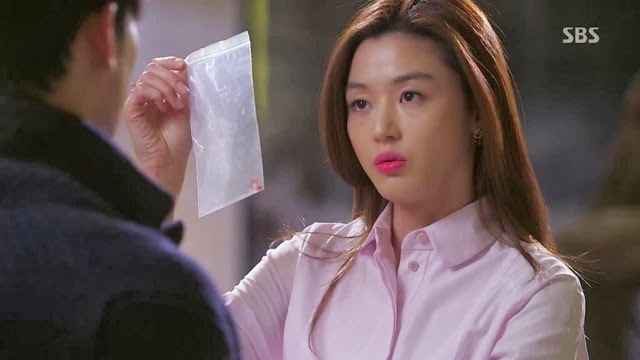 In order to capture Min Joon attention and stay longer with him, she even used her brother Yoon Jae to deliver the Kimchi which her mother made to him. After that, she thought of going to Min Joon house to get back the container. Looking through her wardrobe, she wonders which clothes to wear. Min Joon returned the container to her and told her not to come again. Song Yi took her time to leave Min Joon house. In the evening, Song Yi keeps on muttering about why she like Min Joon. She listed out all his qualities such as face, background and height. Then, suddenly she thought why is she behaving like this! Se Mi visited her brother and when she was asked about Yura dating partner, Se Mi did not share with her brother that Song Yi did mentioned about Yura dating a chaebol. Jae Kyung cellphone rings and Hwi kyung was about to answer the phone which was listed as K. Jae Kyung intercepted his brother and took the phone from him with scary glare. He told Hwi Kyung that a crazy person had called. On the other hand. Min Joon had contacted Seok to meet but they did not know that the call has been tapped by Jae Kyung secretary. Song Yi asked to meet up Min Joon. At the balcony, Song Yi gathered her courage and revealed her feelings for Min Joon. She turn her back on him and bravely declares that she like him. When there is no response, she turned around nervously and saw Min Joon looking at her with no response. Song Yi returned to her room freak out and was in a loss. Song Yi went to Bok Ja Manhwa store and overheard two people gossip about her. She told Bok Ja that she should hold a press conference to clear her name. Bok Ja stated that she should try to evolve sympathy from the public. Just then, Song Yi received a call from a interested buyer. She argues that none of her stuffs are fake. Seok parked his car at the car park, suddenly someone assaulted him and knocked him down. The culprit left a pen which was stolen from Min Joon desk and placed it by his side. Min Joon waited at the cafe but the prosecutor did not show up. The ambulance came to the nearby car park and Seok was seen loaded onto the stretcher. Jae Kyung car was just nearby which indictate Min Joon to follow. Drove to an remote area, Jae Kyung asked Min Joon for the USB and intend to finish him off with a pistol. He fired the shot but Min Joon suddenly disappeared. The next moment, he was standing behind Jae Kyung and whispered to him, " I told you that you can't kill me." At the shrink's office, Song Yi tell the doctor about her weird and crazy thoughts and feelings. Using examples of her favorite foods and handbags to describe how she feels. She reveals her crazy thoughts and jealousy about Min Joon and Se Mi. She twisted her ring finger and gave a satisfactory smile. The doctor note down something and prescribed her stronger medication. Song Yi is a charming woman and I like her attitude about life. She is the type of person who will bounce back even when she falls. Her strong character was clearly shown especially in this episode. I have always like Song Yi and I like her even more now. She is just so courageous, cute and funny. Her craziness at the shrink office have me laughing out loud. 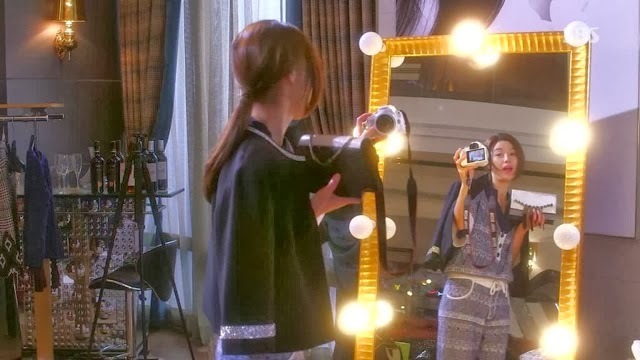 Her friendship with Bok Ja is kind of sweet in the sense that they do not like like each other that much, yet they clicked and share their thoughts with each other. I am charmed by Song Yi personality and her courage to confess her feeling to Min Joon. Song Yi fragile side was always shown to Min Joon, while she projects a strong image to the outsider. This girl needed Min Joon to protect her. The scene at the CEO Ahn office have me clapping and cheering for Min Joon and Song Yi. 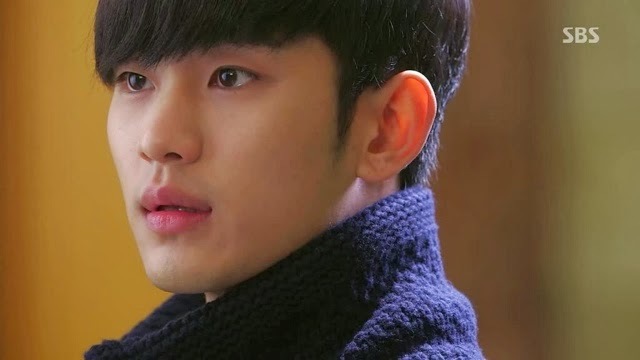 Min Joon defended Song Yi and state the legalistic terms. That was really cool! Can Min Joon stay with Song Yi? I know there will be problems to face later on but I felt so sad for Min Joon who have to pretend to be indifference towards Song Yi. What Lawyer Jang said to Min Joon is true, as a friend perspective he is trying to protect his buddy. However, I will always root for Song Yi and Min Joon.. This is the first time I saw Song Yi family actually showed genuine concern on Song Yi. They even moved to Song Yi house. 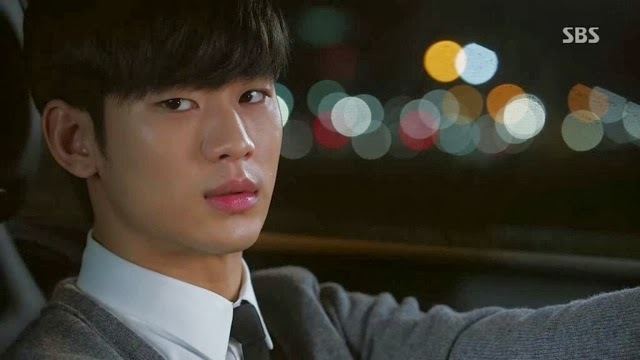 Yoon Jae may look rebellious but he is really concern about his sister. Song Yi mother cares for her daughter in her heart after all. I like the family bonding together during difficult times. Kwi Kyung is a great character. I actually think that he is a good man. I am glad that he did not end up with Se Mi and hopefully, it stays this way. He deserve someone better than Se Mi. 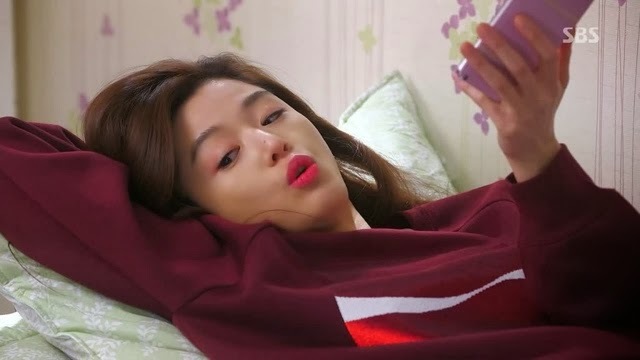 I dislike Se Mi so much that I really wanted to see her downfall. Jae Kyung is so evil, he and His secretary even planted a false evidence with Seok and blame it on Min Joon. After that Jae Kyung even intend to kill Min Joon. 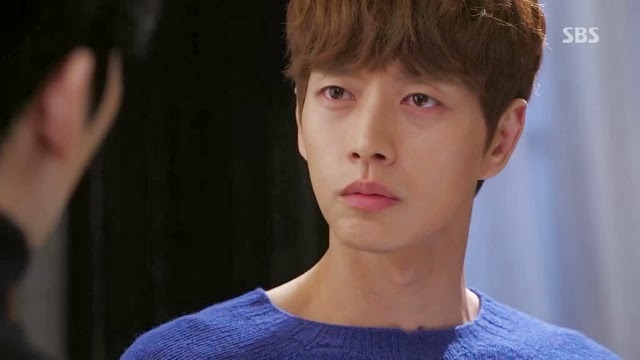 I love the horrified look on his face when Min Joon suddenly disappeared and appeared at his back.